Libraries and their staff can play important roles in enabling their institutions to achieve more – to provide high-quality teaching, to undertake rigorous research, and to provide the essential conditions for learning and scholarship to flourish. But to do this they need to understand what it is their institutions are trying to achieve, and to identify what they can contribute. 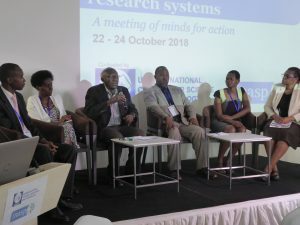 INASP and the ACU were interested to know how different African libraries were ensuring that they were supporting their institutions to achieve their goals so they put out a call for case studies. 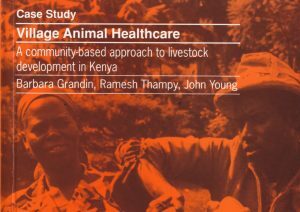 Three stood out, and the following case studies show how one Kenyan and two South African institutions have sought to deliver on this potential. In ‘Enhancing the visibility and accessibility of research,’ Agatha Kabugu, of Kenya’s University of Nairobi, explains how the library took the lead in developing the university’s approach to open access. The library identified the university’s ambition to make its research more visible as an area where it could offer particular support. It specifically saw a role in the development of open-access policies and services. 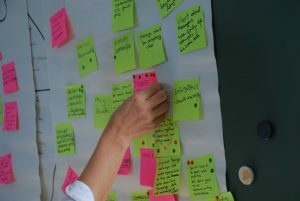 Academics and students are made aware of open-access resources, including through training programmes, and staff have been trained in order to develop a repository of the university’s research outputs. Perhaps most significant has been its success in getting open access on to the agenda of the institution’s senior management, with the library asked to chair a university committee and develop an open-access policy to guide it and the university community. 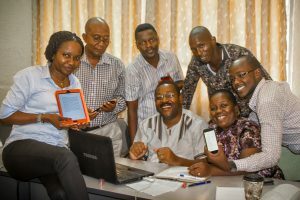 Training in online research resources, for academics and students, has been made one of the library’s key targets in its performance contract, which forms part of the university’s overall performance contract with the Government of Kenya. Elisha Chiware, of South Africa’s Cape Peninsula University of Technology (CPUT), explains in ‘Aligned: An academic library’s strategic plan in response to institutional goals’ how the university’s library sought to ensure that its own strategic plan responded to the goals set out by the institution. In doing so, the library was stimulated to develop and improve its services. Librarians must continue to address ‘questions of relevance, value and impact of the library’, he argues, articulating and asserting the contribution they make. For each of CPUT’s institutional goals, the library has replied with a goal of its own. The strategy has then been translated into an annual operational plan for each area of the library’s service. Faculty libraries have aligned their plans with their respective faculty’s objectives. Importantly, the library has actively invested in its staff, to ensure they are best able to deliver on these goals – encompassing skills such as financial management, statistics and data analysis, and research data curation. Also from South Africa, Avenal Finlayson and Sara Bibi Mitha of the Durban University of Technology (‘Research support for academic excellence’) discuss the library’s approach to making sure that the institution is able to perform in research – including at postgraduate level. As at CPUT, this involved aligning services to institutional goals – developing new digital services, a postgraduate ‘Research Commons’ space, and offering training in research skills and information literacy. Alongside new or re-developed services, the organisational structure was updated to reflect the research focus. New postgraduate librarian posts were created, to work alongside subject specialists, a committee of librarians and academics established to steer the institutional repository, and the research and innovation department refocused to spearhead digital changes. As at CPUT, opportunities for library staff to develop their skills have been a key part of the approach. All the three case studies outlined demonstrate how the library of today is re-aligning itself to identify with the goals of its mother institution so as to promote and facilitate the achievement of the objectives of the institution. We are gradually witnessing the evolvement of a librarian who is not shy to delve into fields that were not originally their preserve like digitization, financial management, statistics, licensing and negotiations of electronic resources, contract law among many others. We are going to witness many more changes among librarians as we progress into the future, Such changes are going to enable the librarian to become entrenched in the institution’s decision making process as the library continues to play a significant role in the achievement of the university’s strategic objectives. We need to read many more of such case studies so as to share our experiences.